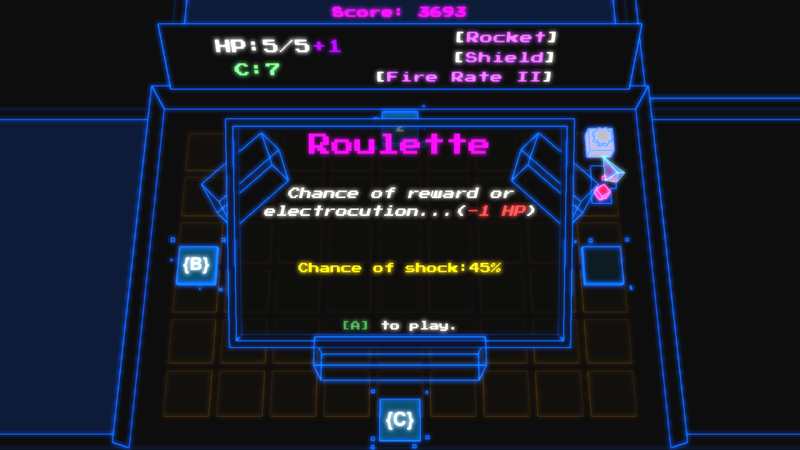 Null Vector is an arcade shooter rogue-lite bringing quarter-eater fun and challenge to the 21st century, without taking your candy money! Each run, you must blast your way through six sectors of enemies, mini-bosses, and bullet hell as you fight to complete your one mission: Seek and Destroy the Final Boss! Careful though! 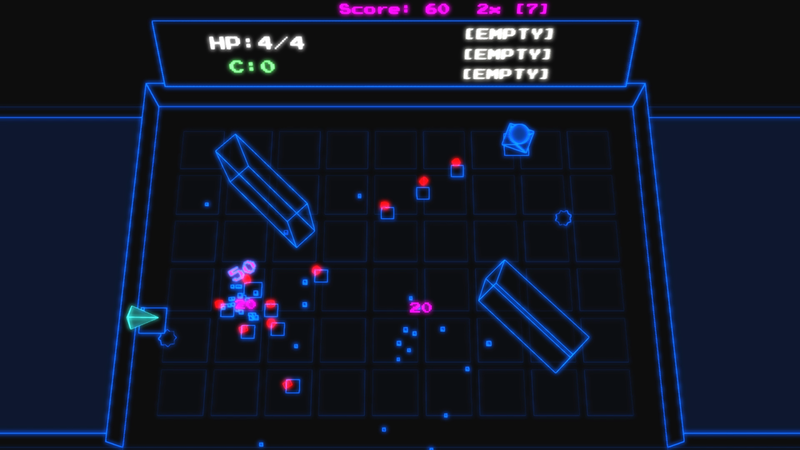 The enemies become progressively more challenging and aggressive with each sector. Null Vector supports single-player and local two-player co-op. It is highly recommended you play with a controller for the optimal play experience. On your way, collect pickups to upgrade your ship, avoid damage and the Game Over screen while racking up points, and fight to enter your name to the top of the high score leaderboards. To ensure your survival, you must collect pickups during your exploration of each sector. There are 14 weapon and upgrade pickups to be rewarded, discovered, or traded for through your run. These range from Rockets and Lasers to Helper Bots and Fire-rate bonuses. Though limited to 3 slots, you can swap between pickups and there are even opportunities to further increase your loadout. Just like in the good old arcade days, there are no saves in Null Vector. So, you must successfully navigate and explore each sector without letting your HP hit 0. Challenging to be sure, but fret not - crystals rewarded throughout your run can be spent on health, upgrades, or bonuses through machines located in each sector. You can even gamble for some extra bonuses, if you’re feeling lucky. Be careful though, the odds are not always in your favour. 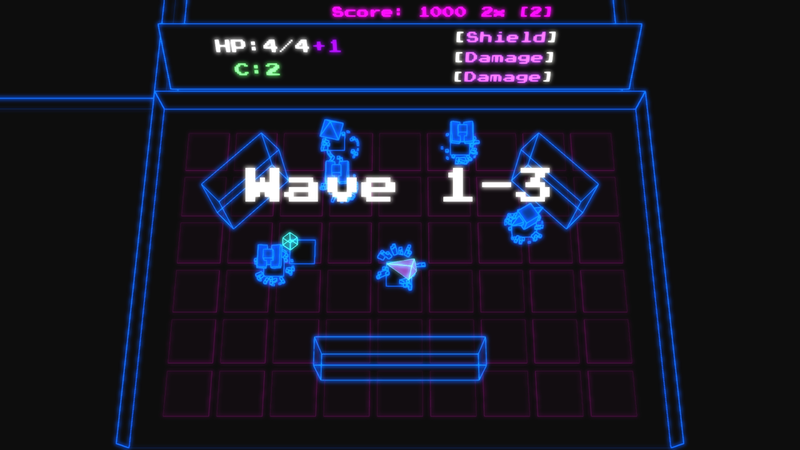 There are hours of replayability and fun in Null Vector, with difficulty modifiers to change the game up and increase the score multiplier to help achieve that “Rank 1” score. For those daring enough, there’s also Hell Mode. Cranking the difficulty up to 11, this game mode puts the "hell" in bullet-hell, with even more bullets, more enemies, and more chaos to contend with.